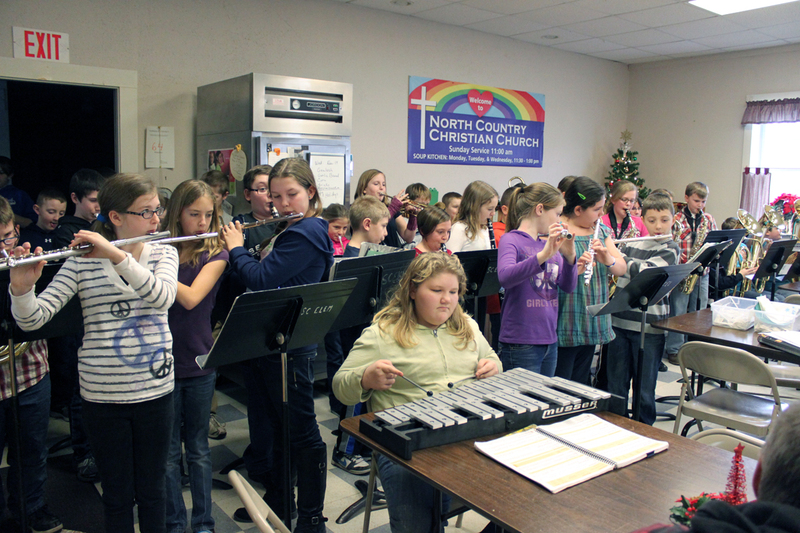 Members of the Sandy Creek fifth Grade Band recently spread a little holiday cheer as they performed for customers at the Lacona Soup Kitchen, located in the North Country Christian Church. Sandy Creek 5th Grade Band members perform for patrons of the Lacona Soup Kitchen. The band, under the direction of Valerie Marshall, performed several numbers including some holiday favorites for those eating lunch at the kitchen. Their final number, “Jingle Bells,” was dedicated to Fran Taplin who, along with his wife Sharon, manages the soup kitchen.